As steeped in tradition as a cup of tea, the Arran nightshirt is a pullover style that is fastened with a four-button placket. 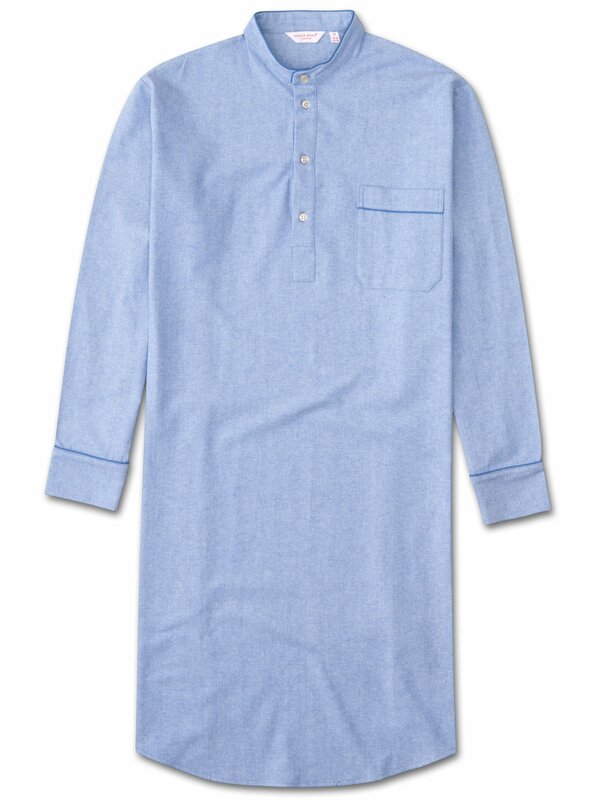 This pure cotton flannel in a herringbone weave, makes for soft, warm nightwear that promotes a comfortable night's sleep. Featuring royal blue-piping on the collarless neckband, cuffs and single breast pocket.